Discussion Forum > For System Users & Experimenters: What are you working with or on? December 15, 2014 at 5:08 | Michael B.
I'm still using my weekly version of DIT. Daily I choose a WILL DO list extracted from my weekly WILL DO list. I also add other tasks/jobs that I want to keep in my active concerns. These are optional to dos. To actually get my stuff done, I use any coping strategy that works against the resistance. I use different strategies for actual physical disabilities or after surgeries, pain, illogical resistance, hesitant to make a decision for whatever reason. Mark and the regulars have helped me to create a good arsenal of resistance busters. It has been longest time I use one approach without change. I forgot to mention that in addition to my MITs and other concerns to keep in mind, I do my recurring stuff outside the system. If it's not a daily minimum requirement, it's added to my fake deadlines. House Clean, Bills Current, Dog grooming, Auto care/gas up, Normal Inboxes peeked at for possible time bombs or unexpected emergencies (monthly purge), etc. I either wait for the day that it's (fake) due or I use little and often to do it ahead of time or to cut down on the work left for that day. The key for all of it is to always keep it doable and current enough. That allows for flexibility and unfettered free time. Staying current enough or slightly ahead overall allows for the flexibility and peace of mind that nourish the other quality of life activities. 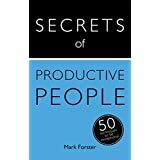 I've been using a system on and off for several months now which I developed for my forthcoming book "Secrets of Productive People". Drawing Power – it should draw you into your work and overcome procrastination and resistance. Thoroughness – it should encourage work to completion. Self-Limiting – it should restrict you to what you can actually do in the time you have available during the course of the day. It should not result in long lists of undone work, half-done projects or backlogs. Instead it should require you to consider carefully how many commitments you are actually able to find time for. - Big projects should be given adequate time. It seems to have achieved what I set out to get it to do. I am using FV with Daneb's today list hack. This in order to have to look at the calendar only once per day. I was successful with FV when I tried it first and it has an unbelievable power to clear backlogs or very long lists. But I never felt true resonation with it, mainly I think because of choosing more than one task. I know we can do better and I know there is a lesson in there for me to learn. So my current goal is to have a long successful run with FV that is also emotionally fulfilling. A list from which I select several items to work on. And only focus on them. Once done, select a few more items from list. The list is time bounded. Such as what I want to get done today. This obviously describes many methods found on this site. I'm mashing this with what learned from Zig Ziglar goal setting, of have around 4 goals that do something on every day. And also for longer term planning, to have longer TIME bounded lists. So that what goes on my list for today, is from a list of what to do this week. And that from a month list. On up. Also I find I need to go down as well. As I have difficulty staying on focus. So now might have a list of what will get done in the next hour, 2 hours, this afternoon. Each list being time bounded. I'm doing an experiment that is somewhat inspired by Daneb's two experiments he's described here, including his recent "Start from zero experiment." Basically, I'm keeping my methods as simple as possible (starting with no system at all) and adding only one element at a time in response to a genuine need. The idea is to use only methods that solve a real problem I actually have, rather than including over-engineering that I don't really need to get my work done well. I started with no system, and so far have added a simple list in response to the genuine need that I was developing stress that I might forget things. This is not an "everything" list - just things I feel a need to write down - things I will do very soon. I added the element of dividing this list into one for home and one for work, in response to a genuine need to keep the categories separate in my head to avoid clutter and confusion. I anticipate I may end up adding simple daily habit tracking (e.g., exercise, reading), a few project-specific lists in a notebook, and maybe an occasional, as-needed, rough daily plan. However, I am not going to add any of these elements - or any other elements - until I run into an actual problem that requires one of these elements to solve it. I am not allowed to add anything to my experimental system that is not a response to a genuine need. Those are the rules. @ Gerry: I tried reading your TM's description in the link, but it was one wall of text. I really like how it is, the pressure to finish up the Closed List (and thus harder tasks) quickly is there but the pressure is not as bad as AF4-3T, i.e. to the point that it builds resistance to even working on the list. Also, the system being context-driven gives it the greatest flexibility I have ever seen on a TM system, greater than even DWM2. Because of this, it is unparalleled as a grass catcher: all my projects' tasks are in it, even grocery and shopping items, because anytime I can just group them up. Indeed, I use it as a "brain dump" like what was encouraged in GTD. Even daily and weekly goals (labeled as such) are in it. I have even used the system for step-by-step tasks that needed planning like for example fixing that damned insurance claim I had a few weeks ago. Gerry, your approach sounds like AF1, with no dismissal? Is that right? Mark, your new approach sounds intriguing as always. I am still using ToDoist and Timeful, but am going to give the 7 Minute Life Planner a try in the new year. It helps you keep your 90-day goals in mind as you process tasks and includes 5 tasks you'll complete before 11 each day. The other change I've made that I really like so far is I've been more firm about assigning tasks to days. Rather than doing a mish-mash of tasks or trying to do a little bit of everything every day, I'm focusing on one area a day. So Thursdays are blog days, for example. I really like feeling that I can dig in and finish things. Doing lots of different kinds of tasks in a day always leaves me wanting and feeling unaccomplished, even though I like the variety. I had another read of your original post about CAF4 and it sounds intriguing. I might give it a try. Nuntym. I will check the link later it is blocked at work. Melanie. It is just a way of processing a to do list but technically I would say two differences. No dismissal and you don't rewrite a task again forward motion is completing a task and adding the next logical task you need to do. I find it keeps me moving projects and life forward. Here is a link to to a word doc of Forward Motion Time Management. The blog is formatting strangely, since I am not really keeping it up these days. Giving your system at http://markforster.squarespace.com/forum/post/2446303 a spin at the moment, and so far really liking it. "2.Scan the Closed List. 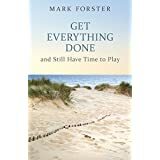 If you find a task that stands out in the Closed List, mark it with a heavy dot, then look for other tasks in both the Closed and Open Lists that seem to answer the question, "What other tasks are in context with my current task?" Mark these other tasks with heavy dots also. These marked tasks then become our Current List. Go to Step 3 below. "If you cannot find even one same-context task from the Closed List, dismiss the Closed List (everything above the line drawn before) and close your Open List with a line at the end, making it your new Closed List. Repeat the instructions in this paragraph"
As well as the obvious resemblance to AF4, the system reminds me of FV but with a wider choice of "root tasks" and a more flexible way of handling the other tasks. Although I have been modifying and tweaking some tools and some "rules" my system has remained the same over the past four months. My daily driver is a spreadsheet. I begin every day with a smema list of three activities that come from my head. I cross check the smema list with a short list of activites in progress. I time box, in five minute increments. If an item on smema is new i work it for five minutes, next time around ten minutes, etc. If it is an activity in progress I work in it for the next time box in the next n+5 increment that i left off with. This has really helped me ensure that work in progres gets done quickly. After I run out of top of my head activites to add to the smema list, one of the activities I add is to work through my other lists, work in progress, work that has hard deadlines, projects I want to work on this week, one off tasks, my larger project list, email inbox. Same rules apply, Anything I add from these lists go on the big three that I work off of, never more than three. I do promote and demote off the big three list as context warrants. I often randomize to decide which of the big three I will work on next. If I am doing my prioritization and time boxing correctly, the most important things to do are work in progress and I work on them longer, newer items are improtant but less so and I work on them for less time in a given day. If I am in a zone on a item I will certainly work past a time box. I used to (until last week) use Outlook to manage my big list using linnenberger principles (mentioned elsewhere on this forum). I moved to onenote and a project based list, that is less overhead and more solid work is getting done. With this method I have a list of only three things to choose from, but during the day I promote and demote things on and off the smema list as context warrents, keeping the list fresh. One measure of success for me, I decided to limit my work in progress list to no more than 20 items, but that has not been a problem, I have been finishing work well before that limit. Mark: "is para 2b really necessary? Since every Current List needs something from the Old List (otherwise the Old List is dismissed) why not just select your "root task" from the Old List?" I did originally consider this rule before settling on steps 2, 2a,and 2b. I eventually decided against it because I thought that increasing one's flexibility with choosing the "root task" (I like that term btw Mark, thanks!) will eventually help in adding more "current" tasks from the closed list. Fortunately, real life showed this to be the case for me. Here is a recent example: I have a childish mild phobia with going to the barber, so whenever this is in my task list it will be pushed further and further back. A few days ago the task "have haircut" was in the Closed List and of course I keep on passing over it when I scan. But then in the Open List I selected "buy presents" and while I was looking for in context tasks I selected the haircut task because, heck, why not, I'd be outside already. Thanks for checking out my system, Mark,and although I did not use FV much, I guess it does look a little like FV. I'm keeping my tasks in task lists titled whatever I want them to be titled (Shopping, Grocery, Laundry, Home, Work, Computer Stuff, Goal for this week, Project XYZ etc.). I'm reviewing Goals and Projects on a frequent basis, breaking down what I want to break down. The smaller the better but not over planning or micro managing. I make quick decisions about each task one by one to either do, postpone or drop. For tasks that I'll do, I commit to work on this. Sometimes, I do smallest to largest. Sometimes, I prioritize. Sometimes, I do it random. The goal is to do as many tasks you committed to as possible. If I complete all the tasks, I simply round up another set of tasks to do. Everything above is what works for me and this is exactly what worked before I looked at all tasks through the lens of task management/time management systems. To keep a driving force and something to constantly push me to do more things and more of the right things I track how many things I do and what things I do.I use Beeminder for a 'must do goal' and 'completed tasks goal'. Set a 'do more' goal of 7 Must do tasks each week. Start by making a committment to do any task for tomorrow. If you do the tasks submit a 1, if you don't submit a 0. repeat with the new commitment. Example: On Saturday, I will Call John about xyz. If on Saturday night, this was done submit a 1 otherwise submit a 0. The must do goal can be simple or complex, important or not. But keep the momentum and gradually, you'll begin taking it seriously and selecting critical/complex tasks to do. Set an 'odometer goal' that keeps track of the number of crossed out tasks in your notebook/completed tasks in your digital task list. Set a rate (i.e. 10 tasks/day, 70 tasks/week etc.). I'm working on a tweaked version of "Spinning Plates". The rough edge (for me) that I was running into was a significant amount of resistance to the entire system. So far I've tried two flavors: work on tasks in a random order (using a random number generator), work on tasks in any order (a-la closed list). So far the closed list approach to be working well. I'm using an implementation in Trello with various columns and color coding to keep track of task state. It's been pushing me to clarify what my goals for tasks are, which is highly useful for me. It's been about 8 months, which is the longest I've stuck with one system, I think. I still use 15-minute slots ('morsels') on my four at-office work days, 30-minute slots on my one at-home work day, and 1-hour slots on weekends. My main (frequent) failing is not completing my evening checklist, which results in a more hectic start of the next day. I also often go completely off-list on the weekends, which is okay sometimes (I tell myself). I use a weekly paper daytimer with sections for work and personal. I use those for my master list and the hours part for my daily list (not very big since 50% of the job I'm on is reactionary). Have scheduled cleaning by day but am "allowed" to just touch it for only a couple of minutes per task if I'm busy that day doing something else. It's sort of getting to be a habit, but suspect I will always have problems with this kind of maintenance stuff - until both kids are gone and it's just me to worry about magical messes that materialize at will. I will likely feel sad when that day comes. It's so good to see you again! I hope you and yours (including Sparky) have a fab holiday! Sigh. I wrote a super big reply of my appreciation for AF. Oh well. Vckie - hope all is well with you and Missy! Hi Jerry and all ! Merry christmas and Happy new year 2015 for each of you and your Family. - One is to add the number of the project list to see at a glance what's the project about. It makes easier the list. 1 list, write tasks on it. Get specific. When you finish a task, write a followup task at the end. "1 list, write tasks on it. Get specific. When you finish a task, write a followup task at the end.
" AF is like that, FV is idem, Jane westman also and I could enumerate many others like this. For what I got, is : All are about acting systems. What I like about them is the simplicity and the addictive processing. The way it uses intuition and following projects. I dont know what new system MF is working on but sure I guess it will be something similar. No that doesn't answer. I meant literally what i wrote seems to be actual totally the rules; and for all the talk of projects, i did not find any instructions for managing them. Did i miss something? "what i wrote seems to be actual totally the rules" yes I agree. What i found is that like in GTD it is better to make a project list and number them. Then you can report the projects number besides the tasks. When I work on a project I just read the numbers it goes faster and it is easier to follow it. What he also says is that it is better to put the next action at the beginning of he task. I also found it easier to do things. Also he says that the list must be about actionable tasks not larger outcomes and each tasks must be dated. At last about notes and details they must go in a az filling system. The system is not revolutionary. it is near GTD, it is near MF as well. It is near what Jane wrote years ago... but it works. MF systems works too. What I like about it (and them) is the freedom it gives. Obeying to rules is making efforts and is for me simply exhausting. I like simplicity. I like easy systems I still love AF for this . After years Of GTD I can declare that The system is too complicated for my way of thinking. I can do and act with a better result without all this coercion. But I still use the 5 steps because they are in my way of doing my stuff even if I simplified a lot of GTD. For me life is too complicated. people sometime too :-) Things are in fact very easy. There is only 3 rules act , act and act. the system must only be there as a reference about things not to block us in our imagination or productivity. 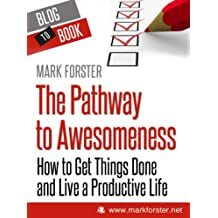 I dont know what you found Mark about the genious productivity system and I really hope to read it asap but I guess that in fact all these great people had a clear mind about things and systems they used to manage theirs life had surely to be simple and easy. Isnt'it ? Right now I'm going back to Cal Newport's method of scheduling tasks to certain times of day. Dramatic boost in productivity and focus to me. I honestly can't fathom why I stopped using it - it blows any other system I've used out of the water. Scheduling your work is hardly new or novel. That's what my dad taught me in the mid 1950's which was what he was taught sometime around 1920 when he started school, had to do his farm chores, church and community obligations, etc. 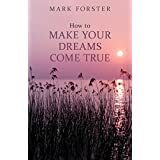 For people who are challenged by almost debilitating resistance, Mark's principles, methods and work arounds are a Godsend. Even if I didn't have physical and mental challenges, I'd still use lots of what I learned through Mark and the posters. The same work gets done every day with far less anxiety and effort. From what I understand Gerry's system seems to be one project per notebook, kinda confused too though.if that is what it means. Anyways, still using CAF4. Simple projects are handled like a dream using it. Jupiter, thanks for reading the post. Alan, yes it is a very simple system. As far as interesting, it is interesting to me because of its simplicity and the fact it works for me. 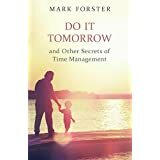 As with any time management system if you connect with it and it works that is what matters. To be clear on the system, it is one notebook for everything so all projects are in this one notebook. Years ago I advocated new notebooks for projects, I no longer do this as one works much better and is easier. I too read the Jane W article years ago and was impressed with how someone with so much on their plate could use a simple system to keep track of things and get lots accomplished. I think the key is "one place" where you can see everything. Yes indeed. Whatever the system is this is really the key for me. Whatever i use when all is in one place it s ok. I am interested in your approach. I consistently find that I run out of gas for following the schedule by day's end. I am trying to give myself free time beginning at 8 pm, but even that may not be enough. The other problem I have is constantly rescheduling what is on my Timeful calendar. I have appointments on my calendar and I have my routine. But once my discretionary task time starts, I could absolutely use SMEMA. That makes so much sense really. If I never scheduled more than 45 minutes into the future, I think I could avoid the constant rescheduling because tasks take too long and I could maintain motivation--because SMEMA is motivating for me. I would pull tasks from my ToDoist list for the day. I would add fun tasks too which I think is why I run out of gas now. Very excited to try this! I think it will work beautifully with Timeful (which automatically saves what you did to your calendar). I've been using FV just about since it was announced. For the most part, I think I just follow the rules. They are so simple, it's just automatic. I usually have a lot of tasks open (45-65) some of which are ongoing and others are projects. Some tasks are grouped on a Post-It note and it moves around with the task on the list. This has only been effective at work. At home I tend to be lazy. I've tried various things including all of Marks various systems. Still lazy. It doesn't help constantly being overloaded at work without a viable alternative. I'm still devoted to the random method, but I combine it now with FV. When I select a task at random, before working on it, I move forward in the list and ask the FV question: what do I want to do before I do x? I read through the list, preselecting items according to the FV algorithm. When I reach the end of the list, I just go to the beginning of the list, preselecting items (with a dot) until I reach the starred item (the random one). Then, I work the list backwards from the star until I reach the star again, work on that, then pick another random item. What's been happening so far: first thing in the morning, I usually have 4 or 5 FV items, then it's pure random for the rest of the day. On Mondays, for example, I have to get the garbage out by 7:30. I just thought of this, but it might allow dismissal as well. If I get to the random item and just don't want to do it, I highlight it for dismissal and dismiss it the next time it comes up randomly (if I still don't want to do it). The principal at work for me is that, in an ideal world, if I use the random list on a daily basis, everything will be done ahead of time. Of course, that doesn't always happen, for two reasons: either my input is greater than my output or I have too many public commitments, meetings and appointments and I don't have time to do the kind of work that is on my list and deadlines start to loom. Either way, FV is a kind of safety valve to help me keep up. And it works for me! That's a very interesting idea. How long have you been doing this for? You wrote: "I consistently find that I run out of gas for following the schedule by day's end. I am trying to give myself free time beginning at 8 pm [. . .]"
I also struggle with getting *anything* done after a certain point in the evening. I read some advice recently about scheduling everything, but at different time scales. I think it makes sense, but will contemplate a bit more before writing a new post about it. I did occur to me, however, that it makes sense to split the (work-)day into roughly four quarters, say Dawn, Morn, Aft, Eve [where the middle two correspond to time at the office], and then consider how many tasks are reasonable to consider within each quarter. For me, having more the a handful of Eve tasks is a recipe for failure (unless they're fun activities). Presently, I am mainly focusing on running my evening checklist. It only takes about 15 minutes, but sets me up much better for the next day. I think I'll post another survey question about when people on this forum use their systems, in terms of hours per day and days of the week. . . I've only been combining the random method with FV since the beginning of the new year. When I used FV or Random exclusively, I confronted two problems. First, the random method could not handle close deadlines. If a deadline looms, as they often do, I can't risk that the task will come up randomly, so I have to drop the list and do the task, which is fine, but when I return to the random list I end up with a bit of nagging in the back of my mind that I "should" be working on something closer to a deadline. Otherwise, random was amazing in its ability to eliminate resistance to tasks. Second, the problem with FV was resistance. Over time, I felt strong resistance to the whole list, and just didn't want to do anything. I got tired of making decisions about tasks, asking which one I wanted to do. How does combining random and FV solve my two problems? (1) Deadlines are covered when I scan the list using the FV algorithm. (2) Resistance is eliminated, because amazingly, the only things that come up on the FV portion of my technique are things that I actually really want to do, including deadline stuff. In other words, random seems to bring out the full flowering of FV while FV protects "random" from missing important deadlines and urgent items. It gets better: in actual fact, only rarely now have I felt the need to use FV, and then it is only for one or two items. My tasks are now almost resistance free. Some data: Oldest task, Jan. 9, next oldest task, Jan 18, total tasks, 24. I am a full time pastor, teaching a university course in world religions, just completed my minor comprehensive exam for my PhD and was elected chair of our local school board in December (25,000 students and a 250 million dollar budget). And I feel great and on top of everything!!! I can only describe FV and Random as elegant and liberating and very effective for me. Just had to share that. That's a very impressive testimonial, Paul. I shall have to put a task on my present list "Try Out Random FV"! I love how you have combined the best of 2 and 3. Getting the nagging "urgent" items out of the way and then letting random take over is wonderful. Thanks for sharing. From reading your description of using FV/Random, I understand that you don't automatically use the FV part of the method for every randomly selected task, but instead only use it on occasions. Do you have any rule about this, e.g. use FV for the first two random tasks of the day only? Or do you just leave it to how you feel at the time? Mark: Great question, now that I think of it, I actually do an FV type scan of all my tasks after each random selection, its just that usually, nothing stands out. Which is interesting - this actually depends on how relevant or useful the randomly selected task is. I throw everything at the list, and if I select something randomly that I could care less about, I'll have a much more active and fulsome FV list. Then as I work back to the randomly selected task, if I still don't feel like doing it, I'll put it on notice for dismissal, a la AF1. This doesn't happen often, usually I do something on it just to move on to the next randomly selected task. Also interestingly, if I randomly select a fairly useless task, I end up clearing lots of those little tasks that populate my list and take a few minutes to do! A great feeling. David: For a while I was experimenting with using all kinds of different methods depending on the mood I was in, but I found it built up too much resistance. But, when I do the FV scan, I don't stop at the end of the list, but I keep going back to the beginning until I reach the randomly selected task. Think of it as a full circle. Sometimes I like to work on these earlier tasks just to clear the page, which has a very AF1 feel to it. Paul MacNeil - What is the exact method you use to determine the first randomly-selected task? Are all tasks potentially open for selection? Thanks! 2. FV pre-selection: Do an FV scan forward through the list, selecting tasks using the FV algorithm (what do I want to do before I do x). Don't stop your FV scan at the end of the list, but continue the FV scan from the beginning of the list, like a big circle. 3. One the scan cycle is completed (takes only a few seconds) work on the FV selected tasks in reverse order, as per FV rules, using the random task as your starting point - another circle. So, once you randomly select a task you'll do a forward circle to pre-select and a reverse circle to actually do the work, with the random task acting as the focal point. 4. When you reach the random task (the FV starting point), work on it and then select a new random task. Dismissal: When you reach the random task, if you don't want to do it, put it on notice for dismissal (highlight it or circle it or something). Then, include it in the next FV scan, but if you still don't want to work on it, cross it off forever. 1. Because this system combines the power of FV pre-selection with the freedom of the random method, older and newer tasks are in perfect balance. This might be because the random phase will more likely select an older orphan task while the newer and probably more significant tasks get pre-selected by FV. Although sometimes I feel drawn to put the older "orphan" tasks (i.e. one or two tasks on a page) on the FV list. It feels so good to clear a whole page, AF1 style. Anyway, tasks are very fresh, in my case only a few days old. 2. As mentioned in an earlier post, I'm at the point not where I rarely use FV, and only for one or two tasks when I do. Anyway, it works, hope that helps. Paul, I think you have identified my perfect system! I am going to give this a shot. I've always had a soft spot for randomisation, but knew that urgent stuff was just nagging me in the background. FV was also a godsend for me, but lacked the playfulness of randomness. You have combined them in a simple and elegant way. I look forward to trying this out. I think what's been worrying me about your system as you describe it is that you have about a third of the tasks on your list that I have on mine. For me to scan the entire list each time I am going to do a random task would be very time consuming. Thinking about this I remembered a variation on the random system which I suggested at the time (I can't find the reference at the moment) which was to mark with a dot any tasks that need to be actioned faster than pure randomness would allow. This marking up can be done at any time. When you move to the next randomly selected task you do any dotted tasks that you pass on the way. It strikes me that this might be more convenient than doing an FV scan each time. Thanks, Fiona, I hope it works for you! Mark, interesting observation about the number of tasks on my list. You might be interested in knowing that before I started using the random method I had 40-60 tasks going, which could mean that for me, the random method itself has actually increased my productivity. It dropped at that point to about 20-30 tasks. Once I started combing FV, I don't think I noticed a drop in the number of tasks, but I didn't have to abandon the list because something "came up" that I needed to do because of a deadline. In other words, I'm ahead in my work. I might also add that some of my tasks were broadly defined as projects. For example, late last year I had to write a paper for a grad course, I would just put down "work on paper for Japanese Buddhism," even though doing research is a complex project involving many steps. The granularity of the task (its level of detail) depended on how overwhelmed I felt about it. Sometimes I just had to break it down,(i.e. follow up with Jodo Shinshu bibliography, read ch. 6 of Stone, draft Jodo Shinshu section, etc.) and I would use my list for that, which would expand it considerably. But it was worth it sometimes. I make my list as simple as I can, but not simpler. Regarding the FV scans, my scans take literally seconds. With the combination of random and FV, I find the tasks I need to populate on my FV scan really stand out.